What else can I do with pumpkin? Carving jack-o-lanterns around Halloween is a fun way to use pumpkins. Besides this classic Halloween carving tradition, there are other ways to make use of pumpkin. Keep reading for 3 other uses for pumpkin and a bonus recipe. Pumpkins fall under the category of winter squash, which also includes butternut squash, acorn squash and spaghetti squash. 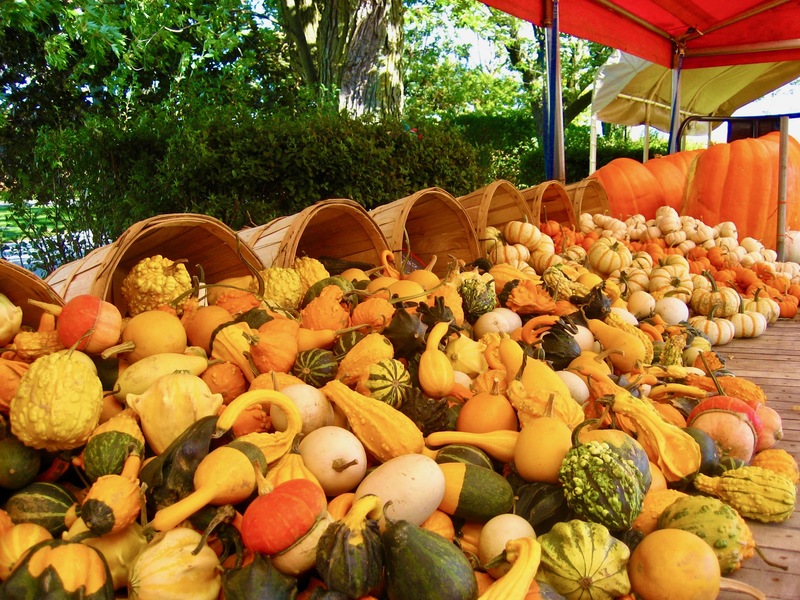 Winter squash vary in colour, size, shape and flavour, though they share common characteristics. The flesh of winter squash is often mildly sweet in flavour, and the texture is finely grained. The shells, which are hard and more difficult to pierce compared to summer squash, allow long periods of storage from one to six months. If you’ve had the experience of carving a pumpkin or cooking up another variety of winter squash, you’ve likely noticed the hollow inner cavity containing seeds. 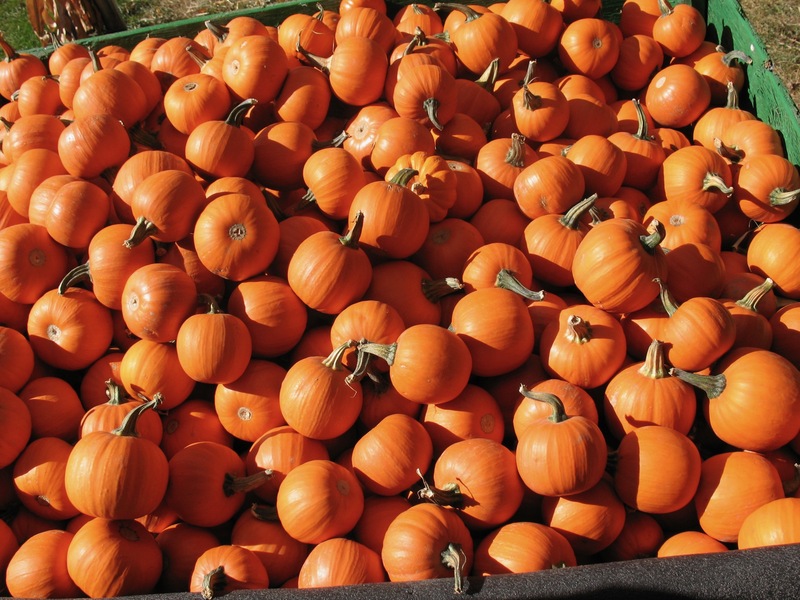 The flesh of pumpkins and other winter squash contains various healthful nutrients, including carotenes (found in the yellow-orange coloured flesh), vitamin C, B vitamins, potassium and fibre. 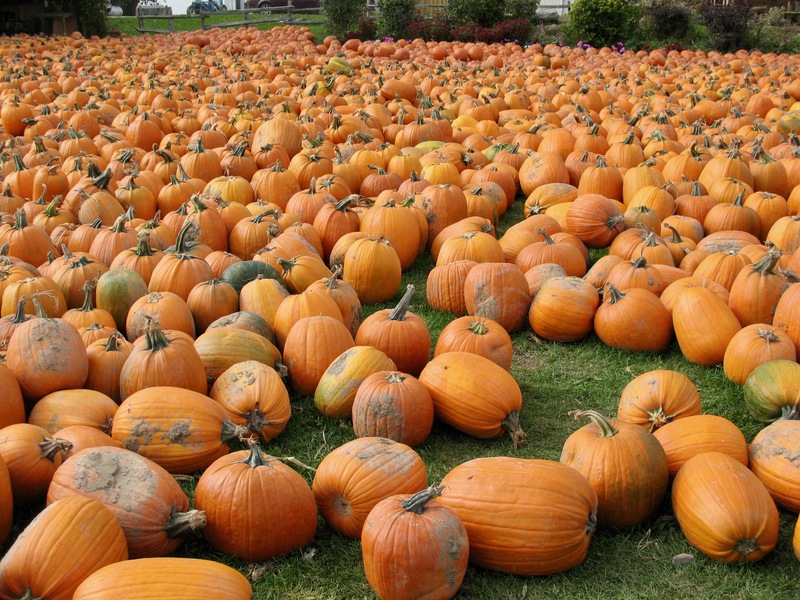 Choose pumpkins or winter squash that are heavy for their size, firm and have a dull (not glossy) rind. If you see signs of decay, such as soft spots, these will continue to mold quickly, shortening the storage length and lifespan of your squash. Once purchased, do your best to keep your squash out of direct sunlight and avoid extreme temperatures of hot and cold. 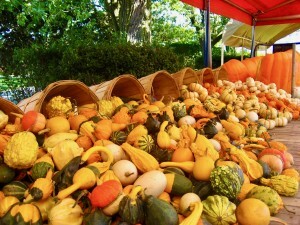 Winter squash is best stored at temperatures of 10-15oC. Instead of carving your pumpkin, which may not be suitable for young children and can be messy, try painting instead. Gently wipe the pumpkin with a damp cloth or paper towel to remove any dirt or grime and allow time to dry. You may consider using a craft-grade sealant prior to painting to help the paint adhere and after completing your painting to help set the paint. Use acrylic paints and let your imagination run free. Pumpkin seeds offer numerous nutritional benefits, supplying various minerals such as zinc, magnesium, iron, manganese, copper and phosphorus. They are also a good source of vitamin B1, B2, B3 and vitamin A, as well as protein, fibre, monounsaturated fats and phytosterols. Phytosterols have been shown to be helpful for prostate health. See below for how to clean and roast your pumpkin or winter squash seeds and for flavouring ideas. 1. Once you have scooped the seeds out of the squash, separate the squash flesh from the seeds. You can do this also by placing the seeds in a large bowl of cool water, submerging the seeds. Use your hands to separate the flesh from the seeds and allow the seeds to rest in the bowl of water for several minutes. The heavier flesh will sink to the bottom of the bowl, while the seeds will float, making it easier to separate. 2. Remove the seeds onto a clean, dry towel or paper towels. Pat dry. You can also dry the seeds by leaving them exposed to air overnight, but this isn’t required. 1. Preheat oven to 300oF. Line a baking sheet with parchment paper. 2. Place the cleaned, dry seeds onto the lined baking sheet. Drizzle the seeds with oil and sprinkle evenly with salt. Mix the seeds evenly to coat with oil and salt and spread out in a single layer for even roasting. 3. Bake the seeds for about 30 minutes or until golden brown, stirring the seeds every 15 minutes to help cook evenly. Once removed from the oven, let them cool on the baking sheet. They will also crisp as they cool. Notes- Add seasoning of choice during the last 10 minutes of baking time to prevent seasonings from burning. Adjust seasonings according to taste as needed. Murray, M. T., Pizzorno, J. E., & Pizzorno, L. (2006). The encyclopedia of healing foods. Place of publication not identified: Time Warner International.